What Is The Purpose Of A Newborn Hearing Screening? Early detection of hearing loss in a newborn is essential to ensuring normal development. Most newborns have no trouble hearing at all, but 1-3 of every 1,000 babies has some kind of hearing loss. Without a newborn hearing screening, hearing loss may not be properly detected for months or even years, meaning that your child could miss out on learning opportunities. Typically, hospitals use two different kinds of tests that can be done while your baby is asleep or lying still. The first is Automated Auditory Brainstem Response, which can detect the hearing nerve responses to soft tones and clicks in the baby’s ears The second is Optoacoustic Emissions, which measures sound waves from your baby’s inner ear. Here is why your baby needs a newborn hearing screening. The American Academy of Pediatrics (AAP) recommends that every newborn get a screening before they go home from the hospital. This is because once your baby comes home, it can be extremely difficult to detect hearing loss. 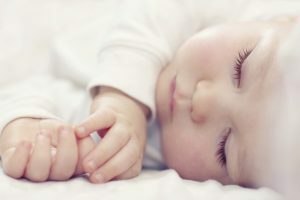 Sometimes, even if a baby has the ability to hear, there can be some kind of hearing loss that could impact the development of speaking abilities. If your baby doesn’t pass the newborn hearing screening, no need to worry! Your baby may still have normal hearing, but you should have more testing done to determine if your baby has any sort of hearing loss. You want to do this before they turn three months because early detection is key to preventing learning setbacks. Babies begin to learn the moment they are born and one of the ways they learn is through hearing, as most of us do throughout our lives. If your baby has hearing difficulties, they can have trouble with speech and language development simply because they can’t hear well enough. Babies with hearing loss will still develop normal language and speech if the hearing loss is discovered within 6 months. This way, they can receive some kind of intervention to facilitate their learning. If your baby has hearing loss, there’s no need to worry, as there are a plethora of ways to ensure your child develops normally. When hearing loss is caught early, it’ll be determined if it’s temporary or permanent. If the hearing loss is permanent, then there are a few options you have to help your child’s development like hearing aids, assistive listening devices, speech therapy, or cued speech. If you are concerned about hearing loss or seeking hearing evaluations, tinnitus evaluations, or hearing aid assistance, our doctors are ready to help. We are passionate about helping all of our patients improve their quality of life through better hearing. We also believe that patient education is critical, so you won’t be lead through endless sales pitches at our office. If you are interested in hearing how we can help you hear even better, contact us at (410) 838-4327 or online. For more hearing tips and articles, follow Bay Area Audiology on Facebook, Twitter,Google+,Pinterest, and LinkedIn. This entry was posted on Friday, March 9th, 2018 at 4:52 pm. Both comments and pings are currently closed.